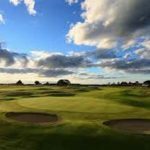 The senior Otago men’s trials will tee off with a 36-hole tournament to be played on at Chisholm Links on Sunday. The event is the first of four before the selectors announce their first team, which plays against Southland at Taieri Lakes on September 22-23. 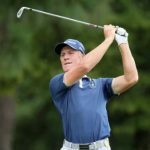 Otago’s top golfers will be tested over 72 holes on Queenstown’s Kelvin Heights course during the first weekend of September. 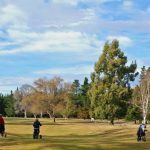 This will be followed by 36 holes in the annual Wanaka men’s tournament on September 8. Triallists will have their final opportunity to make the team to play Southland in the North Otago tournament, which will be played over four rounds on September 15-16. Selection convener Jason Hughes said players were expected to play in as many trials as possible, and should advise his panel if they are unavailable for any events. ”Performances in order of merit tournaments and pennants as well as other fixtures in 2018 will also be taken into account,” Hughes said. 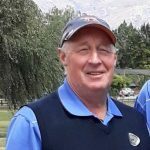 After the interprovincial match against Southland, fringe players could stake their claim by performing well in the Southland matchplay on the Queens Park course in Invercargill during the last weekend of September. This will be followed by the Lakes District event. The Cromwell course will offer a stern test over 36 holes at a tournament on October 7. 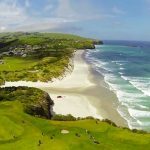 A crucial event will be the Otago matchplay championships, to be played on the Balmacewen course during Labour Weekend. After this event, the selectors will name eight players to compete in the South Island Interprovincial (SIIP), to be played in Methven on October 27-28. Following the SIIP event, the final five plus reserve will be named to represent Otago in the national Toro interprovincial, at Clearwater in Christchurch, on November 26 to 30. Women’s Trials Calendar 2018 ..updated..
Masters Trials Programme 2018 ..updated..